For many years, our talented staff of designers have been creating the finest custom theatres for some of the world's Top Celebrities, Athlete's, Audio Design Firm's, Interior Design firm's, and everyday clientele who share the same love of Cinema that we do. Having been recognized by the Robb Report, CEDIA, NY Times, Audio Video Interiors, Electronic House, Dan's Papers, The Wall Street Journal and CE-PRO among others, our custom theatres have quickly built a reputation for absolute attention to detail and the pinnacle of craftsmanship. Serving Central & Northern New Jersey. Let us help you plan your next project. Whether it be audio, video, networking or home automation, we can custom design a system that will completely suit your life style. Simple to use systems for video, whole house music and home control of your environment; lighting, shades, climate control, CCTV and much more. And if you prefer, for a more elegant design, we offer stealthy solutions that will keep your electronics completely out of sight. At JMG Audio Video Inc. our technicians are industry leaders in this exciting technology. We have knowledge and working experience with all the top brands and cutting edge technology, so you get the absolute best that is out there for your house. 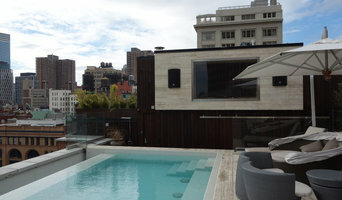 At our company, we specialize in the seamless integration of the many facets of home technology. Our intuitively-designed custom user interfaces offer incredible ease of use for even the most complex systems. Our consultative approach gives clients not only a system that suits their current demands but also their needs in the future. We are committed to offering the finest in audio/video and automated systems technology. Whether you're building a new house or looking to outfit an existing property, we can seamlessly place an exciting new system in your home that allows you to control all of your electronics from a central remote, giving you total control over your home entertainment no matter where you are in your home. And with our excellent customer support and service, we make sure you are fully trained to use our system before we leave, and always keep our phone lines open to help you when you need us. A system is only good if it works beautifully, and we're committed to making sure that you have a perfectly functioning system at all times. So if you're interested in home automation in the Tri-state area, turn to the professionals at JMG Audio Video Inc. With qualified and experience technicians, competitive pricing, and knowledge of the best in cutting-edge technology, we're the easy choice. Please contact us for your free no-obligation in-home consultation. Award-winning InnerSpace Electronics offers "one-stop-shopping" for all facets of home systems integrations. We design and sell home theaters, multi-room audio/video, lighting control, home automation, automated window treatments, acoustical design, soundproofing, telephone/intercom systems, and computer networks for their clients. The business is "manufacture-certified" to sell, program, and service all of their products. InnerSpace Electronics works with homeowners, architects, builders, and interior designers to provide the best smart home services, technology, and conceptual support. Not only do we know the technology, but we understand the structure of a house and how it’s built to effectively communicate with professionals. To ensure the best service, all InnerSpace Electronics technicians are certified by the Custom Electronic Design & Installation Association (CEDIA). Let Grammy Award Winning recording engineer, Kevin Crouse, bring over 20 years of professional audio experience into your home to create an entertainment system that's unsurpassed - full electronic integration that's highly sophisticated yet easy to use. Call us for a complimentary estimate on your next audio/video project. DTV Installations is a professional home automation company. Services include: * Smart Home Automation * Home Theater Installation * Home Audio System Installation * CCTV Security Cameras Installation * Home Alarm Installation * TV Mounting * Access Control Installation * Shading Systems Installation * Intercom System Installation * Central Vacuum Cleaner Installation * Universal Remote Control Programming When it comes to installing security cameras, home alarms, TV mountings, and intercom systems within a home or business, more clients trust DTV Installations, LLC. Since 2007, DTV Installation has served the greater metro New York City area, including Manhattan, Brooklyn, Queens, Long Island, greater Westchester, Rockland, Counties and parts of New Jersey and Connecticut (Fairfield County). With almost ten years of experience, the friendly and professional experts at DTV understand precisely how to install a product or system in your home or business. Our success speaks for itself: DTV has an A rating on Angie’s List with over 180 positive reviews, and has earned several prestigious honors, including a Superior Service Award in both 2012, 2013 and 2014. Our home and business installation company is successful for one simple reason: our company is completely dedicated to the satisfaction of our clients. No matter how large or small your project, the experts at DTV will hard to ensure you’re completely satisfied with the final outcome. What’s more, if you don’t have the time to plan out your dream home theater, our experts will come to your home and design it all for you. You tell us more about your budget and room layout, we’ll recommend the best equipment to fit your needs. After that, our company will deliver all the products that you’ve purchased through us for absolutely free. All products are backed by a one-year limited manufacture warranty; an additional extended warranty is also available for purchase. DTV Installations is an authorized dealer and certified installer for all major audio, video, and security brands. Most of the products come straight from the manufacturer, and our certified technicians factory trained to install them. Perhaps this is just another reason why more people turn to DTV Installations for all their security camera, home theater, and other installation needs. Please dial Ext. 104 to speak with Josh Granados. Sound-Concepts offers the highest quality audio and video systems for your home. 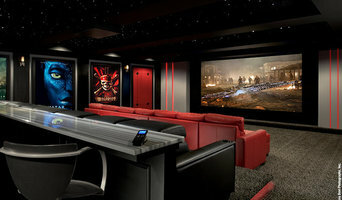 We specialize in custom home theaters, multi audio/video system integration and security systems. Paging Concepts keeps pace with the latest technologies to ensure our customers are receiving the most effective products on the market. In addition to our exceptional product line, Paging Concepts upholds a commitment to quality through friendly professional service. A team of highly trained experienced professionals is ready to ensure that the highest level of satisfaction is reached in every task. By utilizing first-rate equipment from leading manufacturers and providing a service that is unmatched in the area. Paging Concepts can provide you with a safe and enjoyable home. We are Audio and Video Media Installers, that also specialize in CCTV sales and Installation. Our goal is to bring today's technology right to your fingertips by providing an enjoyable environment tailored to your home life and business needs. Our Home Theater/TV installers specialize in a wide range of skills including: enterprise wifi and surround sound system. Give us a call or message today to learn how we can partner with you on your next project. We're more than just great home theaters. We provide AV, home automation, and networking solutions to make your life easier. 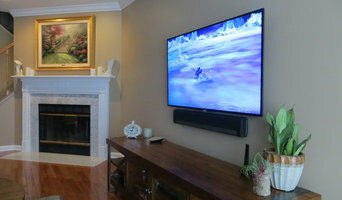 Located in New Rochelle, Digital Creations, a CEDIA member company, specializes in home theater installation, home automation, residential audio/video and commercial audio/video. In addition to installing, we also sell a variety of televisions, projectors, AV receivers, and more! To set up a consultation, please contact us at your convenience. We look forward to meeting you soon. Ambiance Systems has been in the Electronics business since 1985. Founder, Richard Yeomans came in to the electronics service business during high school and branched out into the sales and installations as a natural added value to the already successful service business. We sell and install sound and video systems that integrate seamlessly into your home or business. Ambiance is committed to designing and installing systems that are easy to use, within budget, and exceeds the customer’s desires and needs. Digital Home are Home Automation Technicians specializing in creating an unique Audio, Video, and Lighting experience for our clients within the Tri-State Area. We have expanded our services to include landscape lighting manufactured in the USA. We are graduates of the Jan Moyer Landscape Lighting Institute. Jan is recognized as one of the leading landscape lighting designers in the world. Our Staff and Partners are all equipped to provide our clients with the best products and services that can be found. We are fulfilling the requirements of many homeowners for a complete solution both inside and outside of the home. All of our products can be controlled and viewed from anywhere in the world via smart Devices. We also place a great emphasis on Energy Management. We are committed to using LED Lights in interior projects as well as the landscape lighting projects which brings tremendous savings to a project. Digital Home specializes in selecting products that uniquely satisfy the builder, designer, architect and the home owner. 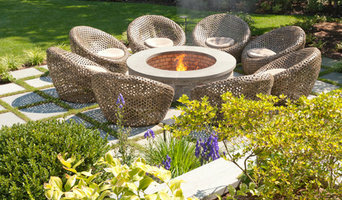 We sell many custom products, which seamless blend into the interior and exterior landscape of any design. We take somewhat of a minimalist approach, assuring our final product is impactful, tastefully done and integrate seamlessly without disturbing design and style preferences. ClearCom, LLC Professional Audio & Video began in 1999, and since then we have provided numerous customers with audio and video installations that vary from the small home installs to large commercial projects that distribute audio and video throughout many facilities. We take great pride in being able to provide a wide range of products and services to meet each individual budget and project specification. From the smallest system to the most elaborate, state of the art technology; for both residential and commercial customers; ClearCom, LLC Security, Sound and Video is here to make your vision a reality. Products: Audio/Video Zv HD Products, Panasonic, NEC, RBH, JBL, Proficient, Polk Audio, Sony, Pioneer, LG, DISH Network, SIRIUS XM, Crown, Bogen, Panamax, Chief Mounts, Peerless Mounts. System Controllers RTI, ProControl, Harmony Pro, Key Digital. PAC has been providing the finest in Audio, Custom Theater, and Automation Systems for homes and businesses since 1973. We utilize cutting edge technologies to create and implement quality solutions that will specifically address all of your A/V and "smart home" needs. PAC features our own in house team of knowledgeable and experienced designers, sales specialists, installers, and service professionals, whose talents combine combine for an unparalleled customer experience. We take great pride in offering our customers a turnkey buying experience, and building lifelong relationships by always being just a phone call away when you need us. If you're the kind of person who loves hosting parties where guests watch the Oscars, the Super Bowl, or the latest sitcom, putting the time and effort into creating a cozy media room or theater in your Matawan, NJ home could be a good investment. But unless you're a wiring and surround-sound guru, figuring out the technical issues can get a little messy. That's where a home media designer comes in. Home media specialists not only can design the seating and decor for your dream home theater, but most of them can help you find specific media control options, conceal your television and various accessories, set up optimal seating, choose and install ideal lighting, and help create the ultimate viewing environment. Some of these New Jersey professionals work entirely on their own, while others work with subcontractors to get the job done. Here are some related professionals and vendors to complement the work of home automation & home media: General Contractors, Interior Designers & Decorators, Paint & Wall Covering Dealers, Furniture & Accessories, Specialty Contractors. Find a home media designer on Houzz. Narrow your search in the Professionals section of the website to Matawan, NJ home media designers. You can also look through Matawan, NJ photos by style to find a room you like, then contact the professional who designed it.